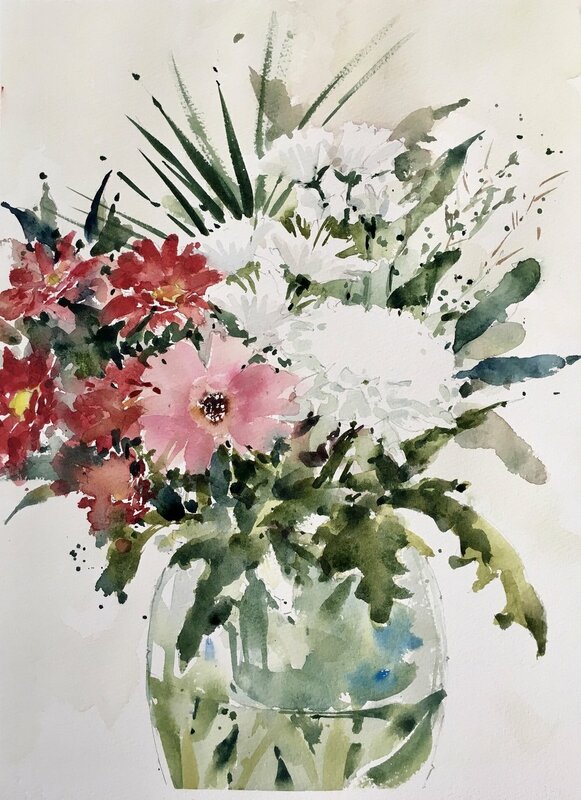 With flowers I sense that if I could reliably paint them successfully I would discover something fundamental about painting. This is why I come back time and time again. Sometimes I see a flicker of hope and sometimes, like today, it’s frustrating defeat. Each time I think I’m on the brink of success but it still often eludes me. On the bright side there is a lot to like here. Just not enough.